A chain of salad bars around Australia. For those who are particular with what they eat; the make your own salad option at SumoSalad's salad bars around the country is superb. 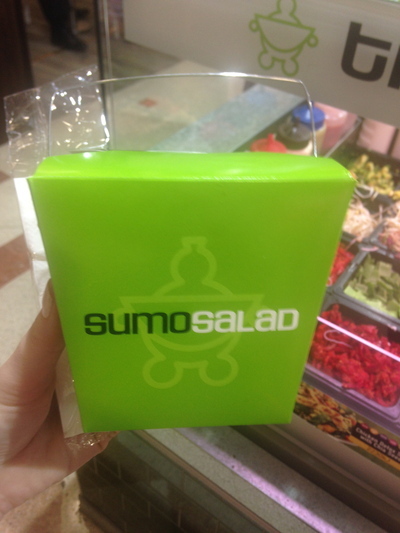 Discovered a SumoSalad outlet in the food court area at Sydney's Macquarie Shopping Centre recently. 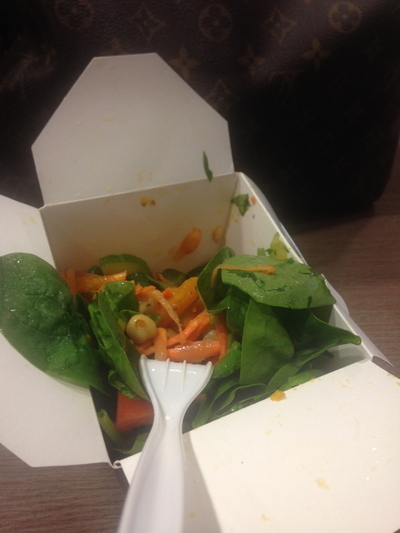 Wanting to maintain clear skin, I went for a large ($7.95) self created salad with baby spinach, carrot, chick peas, cucumber, pumpkin, tomato and basil with a pure lemon juice dressing. This was one satisfying lunch, and I did not eat anything else until dinner time. There could have been a little less lemon juice, but otherwise an amazing, healthy and convenient lunch.